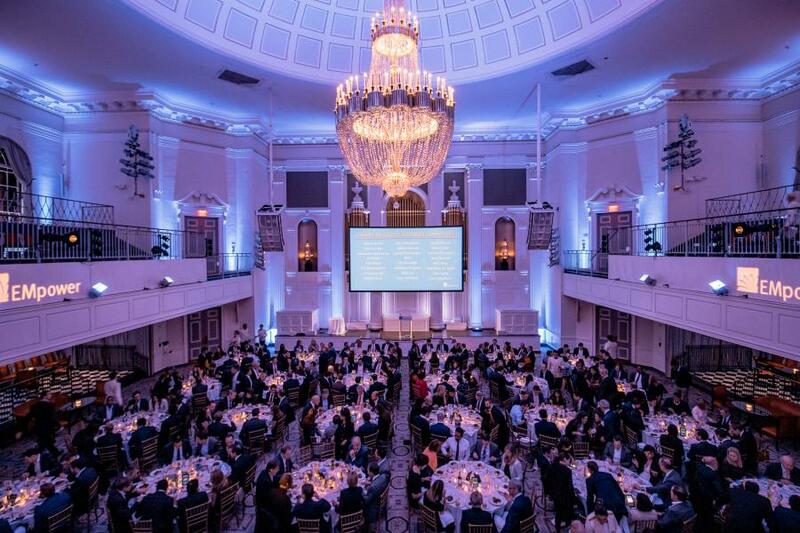 10th Annual Champions of Youth Dinner in New York is a stunning success! EMpower’s 10th Annual Champions of Youth Dinner, held in New York on March 6th, was a stunning evening in support of at-risk youth! Nearly 300 guests gathered at 583 Park Avenue, including many former Board Directors and Underwriters, for a beautiful evening. Fundraising broke the previous record in New York by over $120,000, with $653,701 raised! The evening began with drinks, followed by a delicious dinner and a program that included the premier of an EMpower Story video, narrated by various global Board Directors and Underwriters. It was an honor to recognize the 2019 Champion of Youth, grantee partner Aangan Trust, for its work reducing child harm in the poorest communities of Mumbai. Suparna Gupta, Aangan Trust Founder and Director, and Atiya Bose, Executive Director, joined to accept the award. Thank you to our speakers: Board Chair Eric Baurmeister, founding Board Director and Underwriter Guido Mosca, Executive Vice-President Cynthia Steele, Board Directors Eric Dannheim and Kristin Ceva, and President Marta Cabrera. Our deepest appreciation to our Dinner Committee, Board of Directors and Underwriters for making the event possible. Many thanks also to cocktail reception sponsor JP Morgan, and wine sponsor Macquarie. We continue to be grateful to our generous EMpower community for their dedication and support of our work, breaking records and raising the bar! Look for more photos of this event and other EMpower happenings on our Facebook page.